The scarf is also a valuable and smart fashion accessory. It can make the most casual outfit, such as jeans, a tee shirt and leather jacket, appear put together and chic. 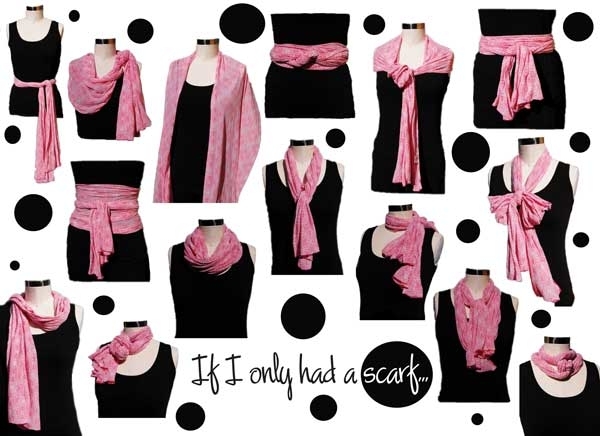 Scarves are also incredible to use as an evening shawl providing style, warmth and an enhanced look. Most importantly – one less thing to pack! On another note, the scarf is essential when sightseeing. It is always accessible and can easily be folded into a bag without taking up too much room. The scarf can be especially important if you are visiting a church or mosque where female coverage is a customary requirement for entry. My absolute favorite scarves are designed by Brunello Cucinelli if price is not an object. Elements Chicago also carries some incredible options for scarves in addition to local boutiques and department stores. I totally agree… A scarf makes everything look better….